Now’s your chance to apply for the esteemed index of the UK’s top 100 new businesses launched since 2015. Is your start-up Startups 100-worthy? Innovative and inspiring UK start-ups are being given the opportunity to feature in an industry-renowned index with entries now open for the Startups 100 2018. Back for it ninth year, the Startups 100 is the official listing of the country’s most exceptional start-ups launched in the last three years and is the longest-running index of its kind in the UK. Enter the Startups 100 2018 here. Ran by Startups.co.uk, the Startups 100 index – which won the Silver accolade for Editorial Campaign of the Year at the British Media Awards – is celebrated among the enterprise community for its ability to cherry pick early-stage businesses which will go on to become fast-growth companies, and some even household names. Startups 100 alumni companies which have gone on to achieve monumental success since featuring include Deliveroo, Sophia Webster, Purplebricks.com, Raspberry Pi and Notonthehighstreet.com. Last year’s Startups 100 saw mattress brand eve Sleep take the number one spot, followed by darts activity bar Flight Club, while the collective 100 businesses that featured in the 2017 index boasted average revenues of over £1.6m and total headcount in excess of 2,000. View the Startups 100 2017 index here. To qualify for the Startups 100 2018, your business must be privately-owned, UK-based and must have launched on, or after, January 1 2015. Eligible start-ups will then be judged across criteria such as traction to date, business proposition and USP, growth ambitions, financials and more. “Since 2008, we have brought together the UK’s most game-changing new businesses and showcased them in the Startups 100 index; the official ranking of the country’s start-up success stories. 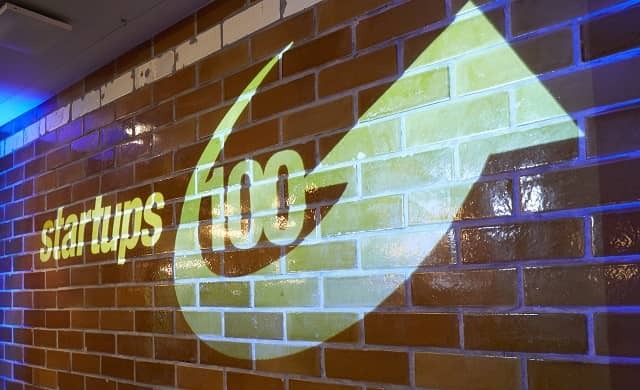 “The Startups 100 reflects the country’s thriving start-up community and we’re calling on businesses from across the country to submit their entry to be in with a chance of gaining unbeatable exposure. Think your business should feature in the Startups 100 2018? Apply here now before the entry deadline on Friday 23 March 2018 and share your support on social media using the hashtag #Startups100.